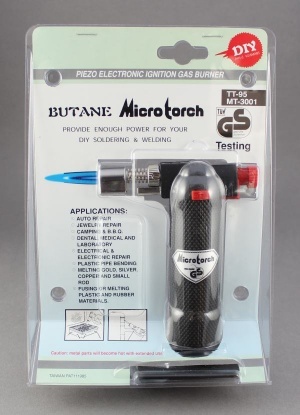 Butane powered gas micro torch for brazing/soldering applications etc. Particularly suitable for heating larger capacity cable and terminals for soldering (e.g. battery cables). 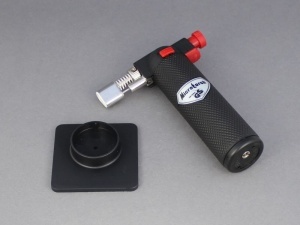 Push button gas valve with piezo ignition, adjustable flame size and 60 mins burn time from a full tank. 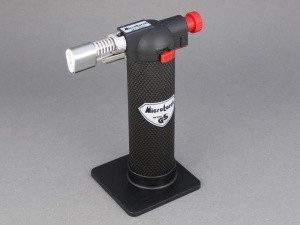 Re-fillable using standard butane lighter fuel available from many high street shops.